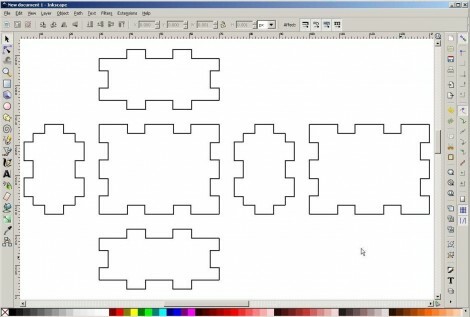 If you use Inkscape to lay out your laser cutter designs you might want to look into this box maker extension. Inscape is [Elliot’s] drawing software of choice since it’s easy to use, and it’s open source. After having to lay out the tabs for a box he decided it was worth his effort to develop a tool to do this automatically. The extension works inside of Inkscape, letting you start your projects with a set of automatically generated box sides. 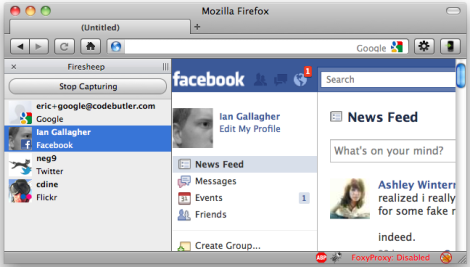 The input window for the extension leaves you plenty of options for the joint design. In addition to the size of the box (inside or outside measurements can be selected), you need to enter the thickness of the material, the kerf size (how wide the cut will be), and how much clearance you want between the teeth. The width of the teeth is also configurable. Our feature of a laser cut replacement case is what prompted [Elliot] to tip us off about his extension. That project used a web-based parts generator to do the joint design. One of the best tools we saw at LayerOne was the Exploit-Me series presented by [Dan Sinclair]. Security Compass created these tools to help developers easily identify cross site scripting (XSS) and SQL injection vulnerabilities.